It exists a phobia called Metathesiophobia. It comes from the Greek work ‘meta’ meaning to change, the Latin ‘thes’ meaning setting, and the Greek ‘phobia’ meaning fear. This is the fear of change. People who suffer from that tend to live in the past, and may also be depressed. They are unwilling to progress or to change anything from the routine. This specific phobia can reduce one’s will to live. They often feel that they have no control over their lives owing to constant changes. On the other side, there’s people who suffer the opposite phobia. There’s no scientific word to name it, but I’ve decided to call it Metainaequalisphobia; ‘Inequalis’ meaning changeable. This is the fear of settle down. They tend to live in the future, and may be optimistic in the short term. They are unwilling to settle down, or to compromise or to adjust to a routine. This other type of phobia makes them fill alive. They often feel they are leaving wilder than other people, because they have control over their life by changing constantly in an uncontrolled way. They all become full blown phobias when it is irrational, persistent and very intense. Existeix una fòbia anomenada Metathesiophobia. Prové del mot grec ‘meta’ que fa referencia al canvi; del llatí ‘thes’, escenari; i del grec ‘phobia, quant a la por. És la por al canvi. Els qui pateixen aquesta fòbia tendeixen a viure en el passat, i solen estar deprimits. Tenen poca predisposició al progrés, o a qualsevol canvi de la rutina. Aquesta fòbia pot reduir la voluntat de viure. Aquells que la pateixen sovint no tenen control de les seves vides, a causa dels canvis constants als quals s’enfronten. D’altra banda, hi ha persones que pateixen la fòbia oposada. No hi ha un nom científic per anomenar-la, però jo he decidit dir-li Metainaequalisphobia; ‘Inequalis’ fa referència a la inconstància. És la por a establir-se. Tendeixen a viure en el futur, i són optimistes a curt termini. Tenen poca predisposició a establir-se, a comprometre’s, i a establir rutines. Aquest altre tipus de fòbia els fa sentir-se vius. Aquests individus senten que viuen més intensament que l’altra gent exerceixen el control de la seva vida a través dels canvis constants, i incontrolats. Ambdues esdevenen fòbies reals quan són irracionals, persistents i molt intenses. 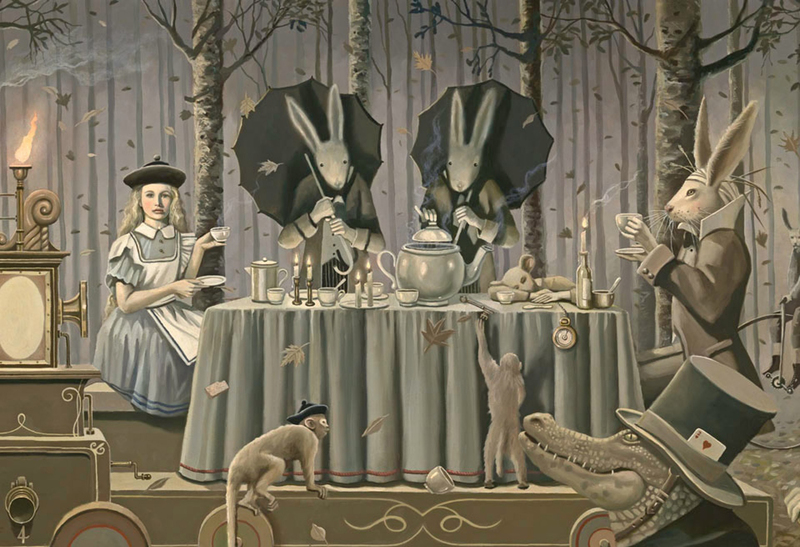 Featured Image: David Delamare’s Alice in Wonderland. Next Yet another year passed, and I still love you.